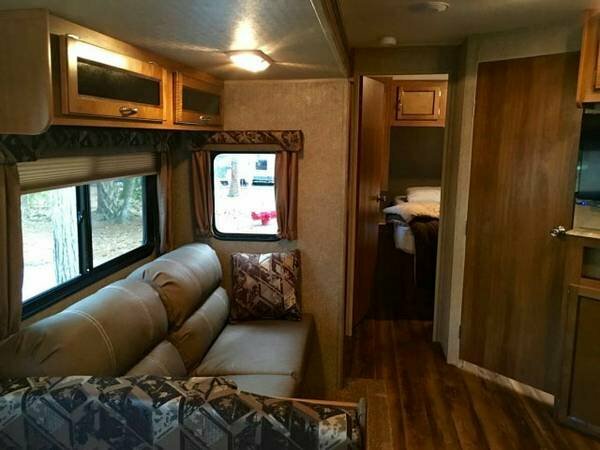 The Keystone Sprinter – this needed too much work for the price. Which leaves us with the final two – the Coachman Catalina 323 and the Coachman Catalina 333. Both had the split layout with doors on both bedrooms, lots of storage, outdoor kitchens, similar price points, and similar in size. The biggest difference, the 323 had a bathtub but small kitchen, while the 333 had a large kitchen but no tub. So which was more important – a large kitchen or having a bathtub??? Meet our new home! 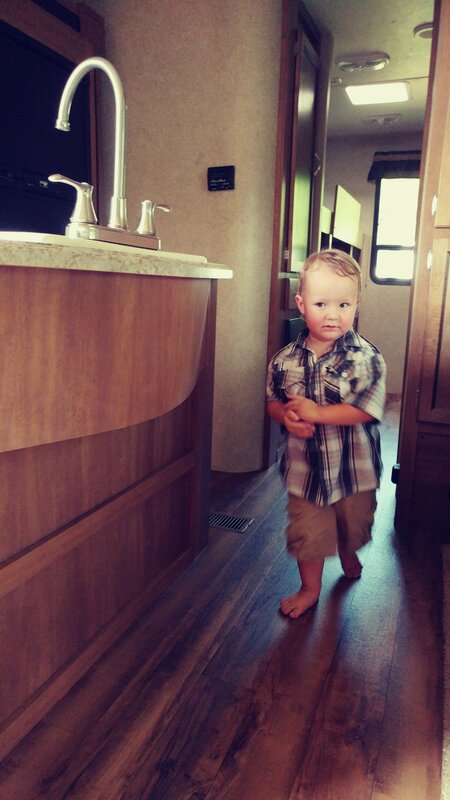 We chose the camper with the larger kitchen but no tub. After actually looking at the tubs that are inside of campers, I realized that they just weren’t practical. Instead, I’m going to get a tub inset for the shower that we can store when we’re not using it. 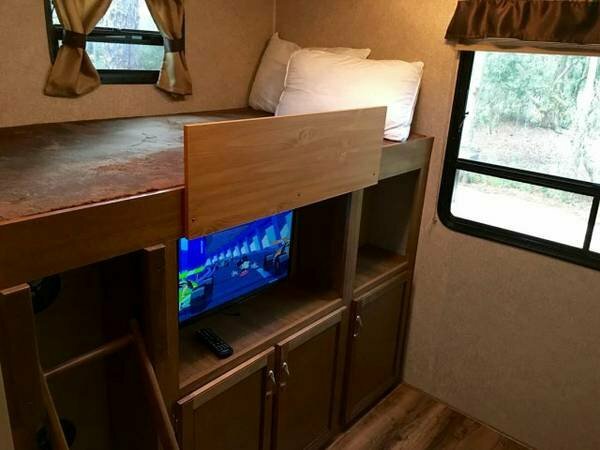 This camper was also on the higher end of our budget. We really thought we could get something cheaper and fix it up ourselves. But we found that what made many of these campers cheaper wasn’t cosmetic, it was items missing, beat up walls, and the exterior needed some help. If it was just the two of us, I think we could’ve handled this however, since we have kids, we don’t think we’d have the time. Damon would have to be away for hours a day while I’m at home taking care of a newborn and a toddler. Plus, once we invested time and money into fixing up the camper, it would have been the same, possibly more, than just buying the more expensive camper. In the end, we found a camper with an awesome layout with lots of updates and amenities that we won’t have to spend anytime fixing it up. Instead, we can spend time trying to downsize while spending time with our kids.